"I have a photo here actually, one my mom always wanted me to travel with of me as a baby. 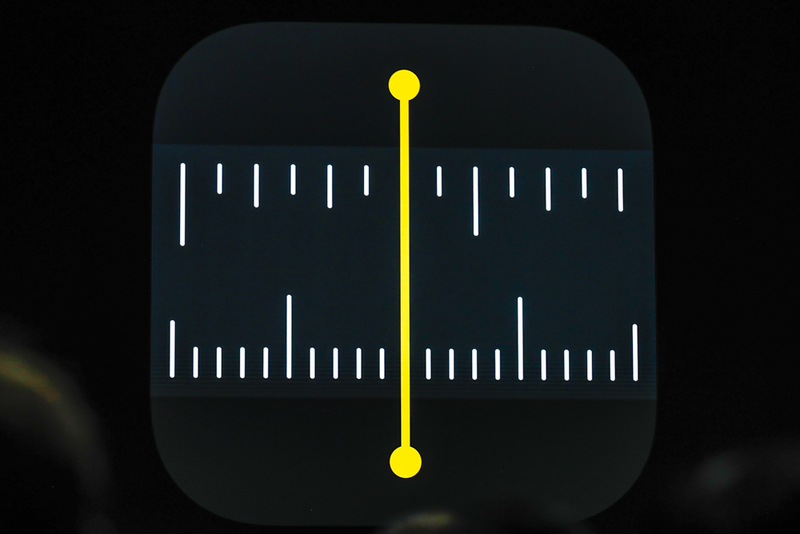 What I can do with measure is it automatically detects the dimensions of that photo, I can tap and get measurements just like that." "I'd like to turn now to USDZ and its support throughout the system. Can experience so many places. One of those is News." "USDZ is also great around the Web. I can't select a configuration option and see the guitar I've configured." "Wouldn't it be cool if I could see it in the real world in its real size?" 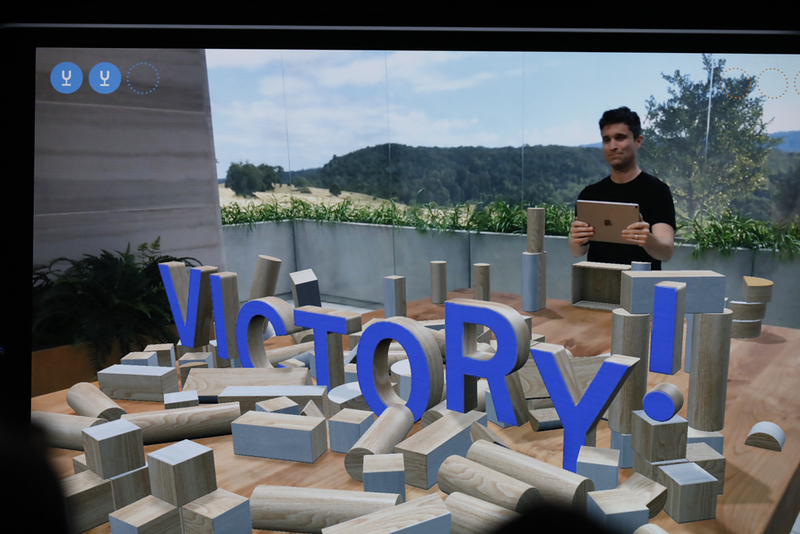 AR will be more easily embedded in browser, too. Web AR, on-OS AR. Aiming for consistency across the board. 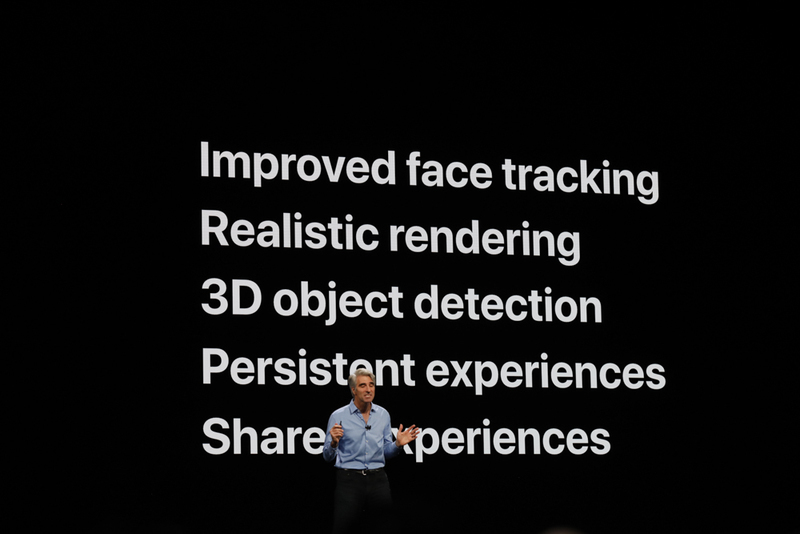 "Next, I'd like to talk about the key technology behind these augmented reality experiences, and that's ARKit." Notes it's the world's largest AR platform, "by far." 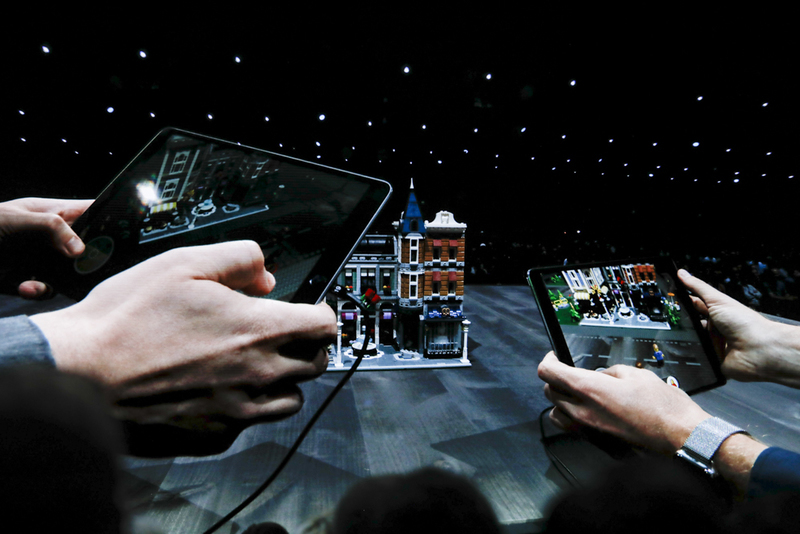 "This delivers true multi-user augmented reality. You and the people around you will be able to see your own perspective in a common environment." "Both players and even a third observer can experience the same environment at the same time." 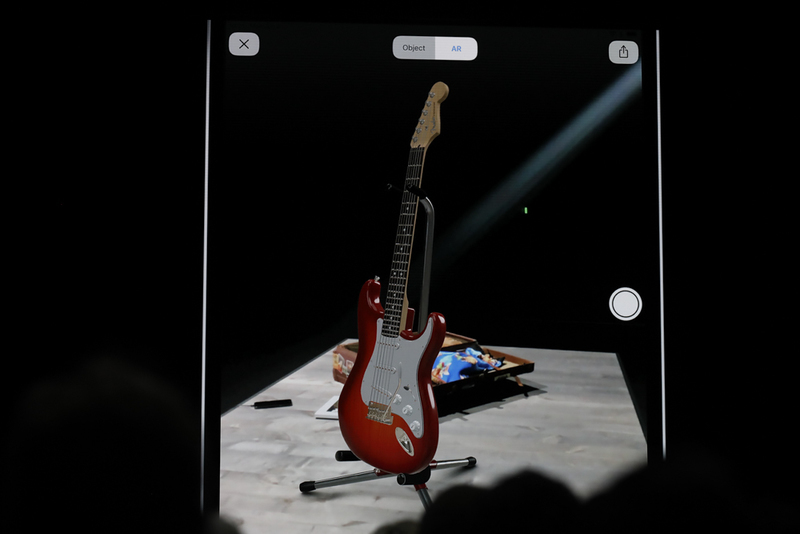 "Now with ARKit 2, we get to expand those creative possibilities like never before and take things beyond the physical." 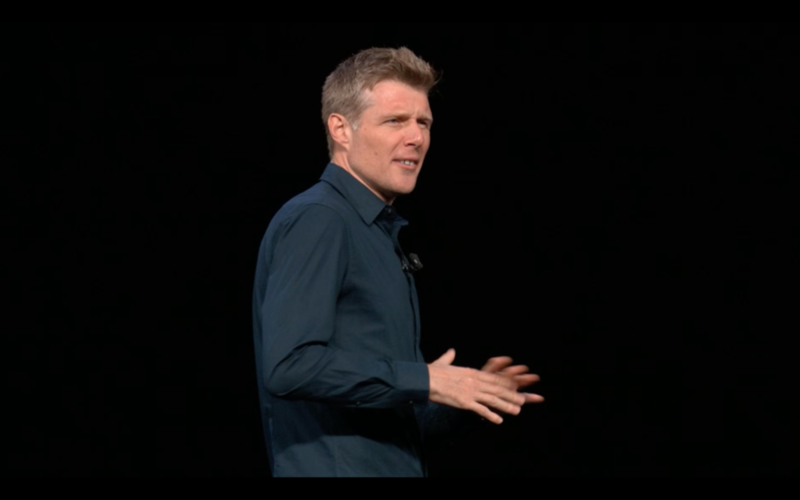 "What we tried to do is combine physical and digital together." 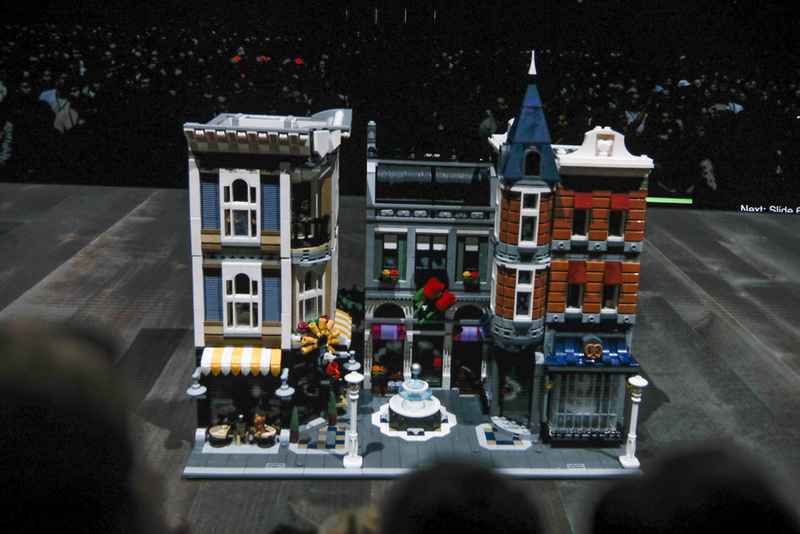 "Here we have Assembly Square, it's one of our LEGO creative sets. 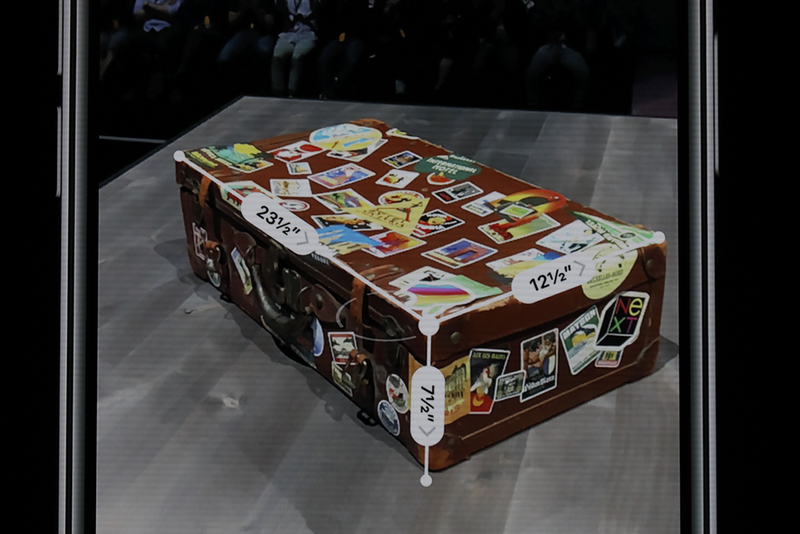 .. Now with 3D object detection, we get to recognize our models and bring them to life." "There's so much to do here. If you see these icons of the people and objects, they represent missions and stories we can explore. With a world as rich and immersive as this, who wouldn't want to play?" 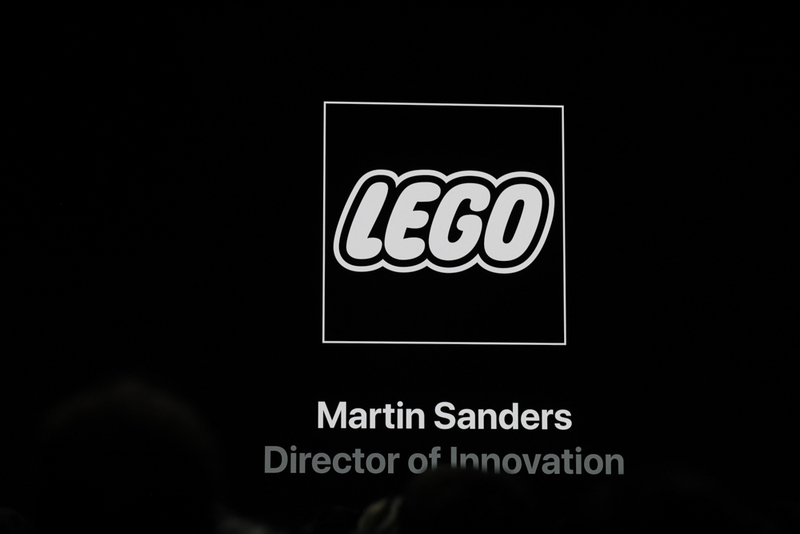 The LEGO demo is fun. "With a world as immersive and rich as this, who wouldn't want to play." 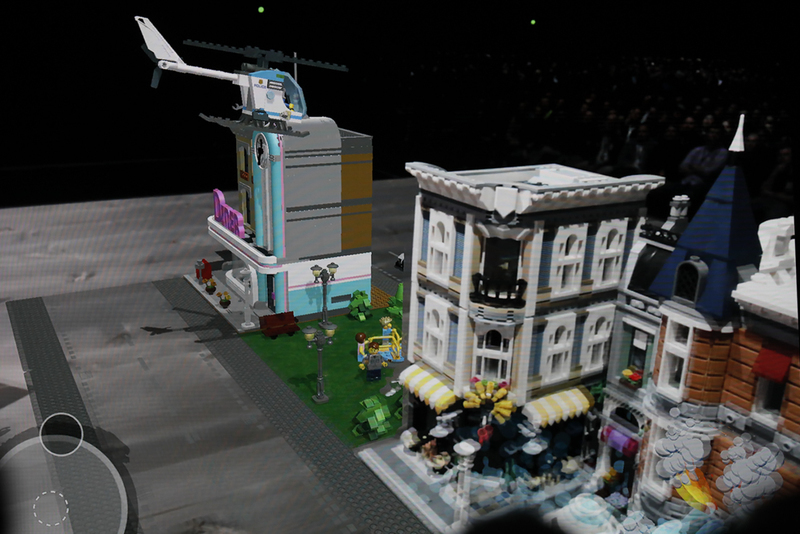 Multiplayer AR in Lego is a fantastic idea. 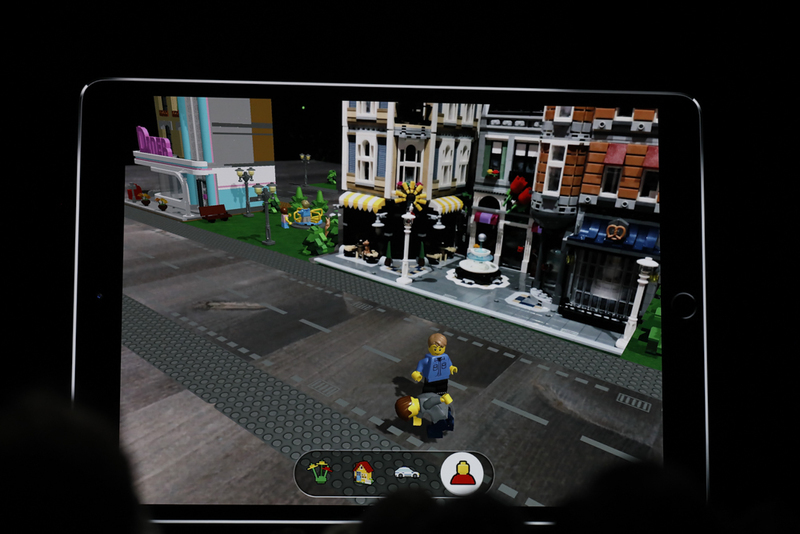 "Look out for more LEGO experiences in the App Store later this year."